Motivating and developing young people is our primary mission...that is what JROTC is all about. We are NOT military recruiters. 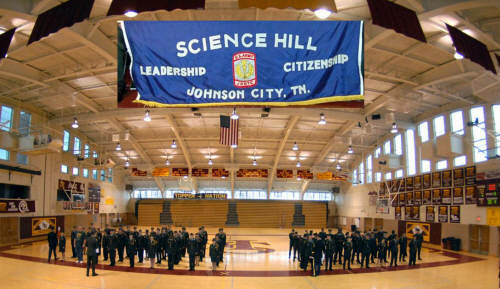 We provide classroom instruction and extracurricular activities to help prepare Hilltopper Battalion JROTC Cadets for life after high school! Meanwhile, we want to ensure everyone--instructors, parents, and cadets alike--has fun along the way! Leadership / Respect / Attitude !! A Winning Tradition that is the cornerstone of our program. We are now in our 77th year and Hilltopper JROTC Cadets and parents contribute significantly to the success of the school and community. Last year our Cadets volunteered over 3,000 hours to the school and community.